Save your father and the kingdom! You were living a calm life on your small farm together with your father. One sunny day your life completely changed. Malicious bandits raided your house and burnt it to ashes. Your father is missing. A darkness is falling over the whole country and you are setting off on a dangerous journey to places unknown. You must overcome your fear and find your father. You won't hesitate to take the road. This is going to be the greatest adventure of your life. - Explore a huge beautiful country. – Meet dozens of people and fulfill many various quests. 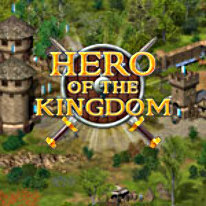 - Collect herbs, hunt for animals, and go fishing. - Find hundreds of scattered hidden items. - Reach up to 38 achievements.